9. In Spain, Queen Letizia wore her diamond wedding earrings to present a literature award on Tuesday. 8. 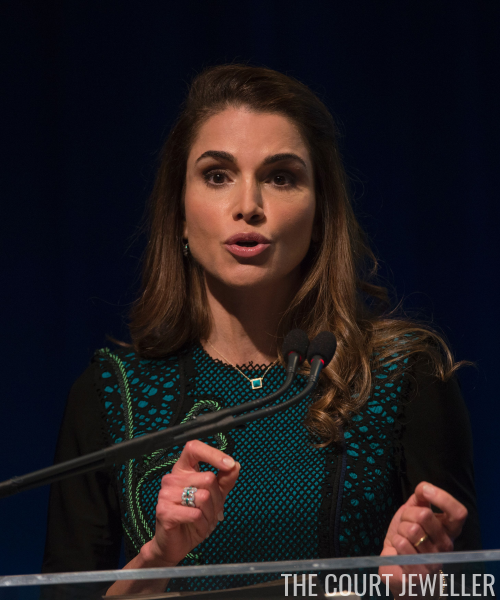 Queen Rania of Jordan wore glittering drop earrings, a pendant with a pyramid-shaped stone, and a sparkling ring on Friday to speak at an IMF and World Bank meeting in Washington, D.C.
7. 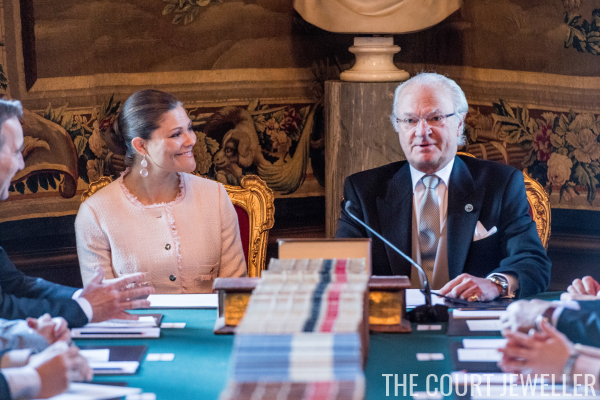 At Thursday's cabinet meeting, Crown Princess Victoria of Sweden wore statement earrings as her King Carl XVI Gustaf announced the name of the family's newest member: HRH Prince Alexander Erik Hubertus Bertil of Sweden, Duke of Södermanland. 6. Princess Charlene of Monaco absolutely glittered in a gorgeous pair of earrings on Sunday at a tennis tournament in Monte Carlo. 5. Queen Maxima of the Netherlands attended the Four Freedoms Awards in Middelburg on Thursday; she wore her drop earrings with embellished orange pendant drops. 4. 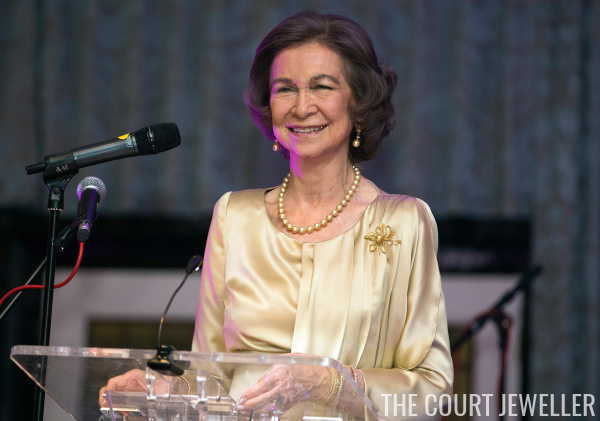 Gold jewelry was on the menu for Queen Sofia of Spain as she attended a dinner in London honoring the centenary of the British-Spanish Society on Wednesday. 3. 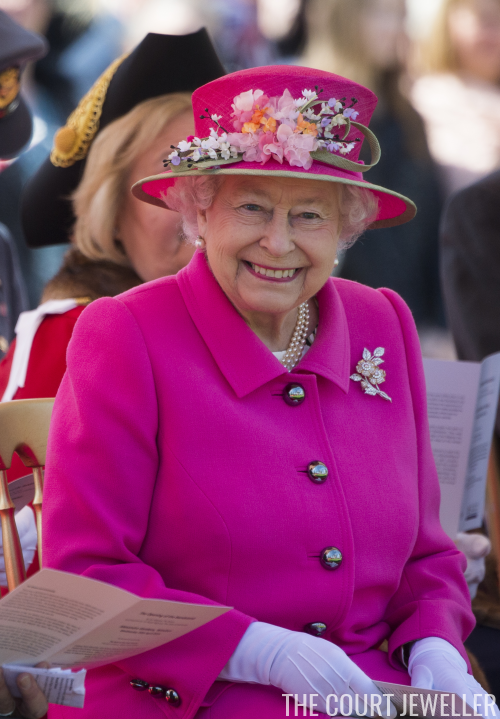 On the day before her 90th birthday, Queen Elizabeth II of the United Kingdom wore a brooch of diamond roses for engagements in Windsor. 2. Princess Beatrix of the Netherlands, wearing diamonds, rubies, and pearls, also attended the Four Freedoms Awards on Thursday. 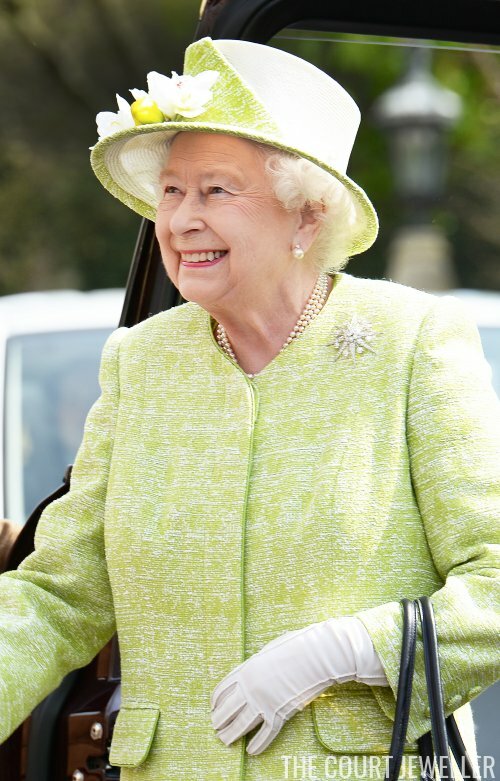 Her brooch is the diamond and ruby bow brooch commissioned by Queen Emma. 1. 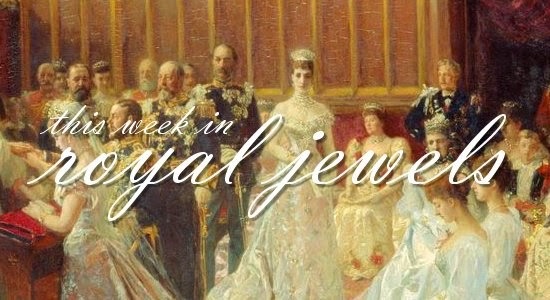 My star of the week goes to a starry piece of jewelry: the Jardine Star Brooch, worn by Queen Elizabeth II in Windsor on her 90th birthday.